The world of Kickstarter goes above and beyond to try and separate us from our hard-earned bucks. Projects left, right and center, get launched every day. But every now and then, a project comes along that is, well, out of this world! 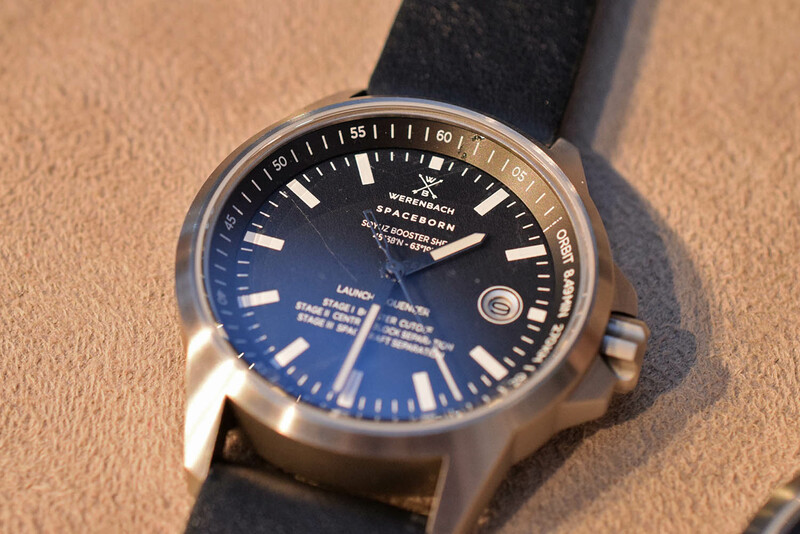 Pun intended obviously, as the Werenbach Earth collection is made from parts of a salvaged Soyuz MS-02 and MS-04 rocket! 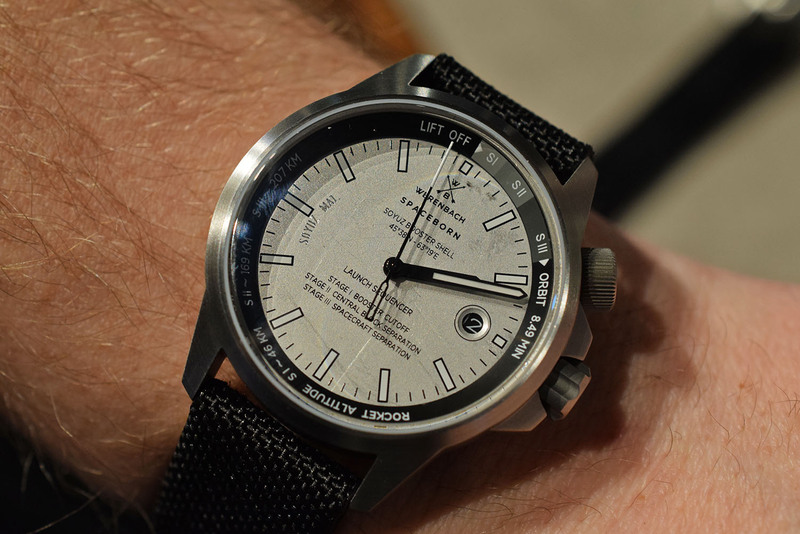 So yes, your dial has actually left this earth, possibly orbited it depending on the model you order, and then plummeted back down to land on your wrist (sort of, eventually). The campaign was hugely successful, becoming the most funded project on Kickstarter from Switzerland to date! Of course, space is a romanticized theme. It remains a great mystery to us, as we have never physically been further than the moon. No man (or woman for that matter) has ever set foot on Mars for instance and only a handful of people actually set foot on the moon to begin with. The list is only 12 people long, including legends like Neil Armstrong (1st) and Buzz Aldrin (2nd). Mankind has always had an innate desire to travel to the unexplored areas around us, whether it be the north or south pole, the Mariana trench or even embarking on missions into space. We dream of landing something on Jupiter, or beyond, and every now and then some space agency discovers a new planet that is located in the “inhabitable zone”, which sets off the dreamy debate once more! For us mere mortals there is still a long way to go before we can embark on these kind of adventures, although commercial space flights are actually becoming more and more of a reality. In the meantime, we’ll have deal with the second-best thing in the world: watches! Just kidding of course, there are far more important things to discover but I have to make a jump to the Werenbach Earth collection at some point in this article, right? 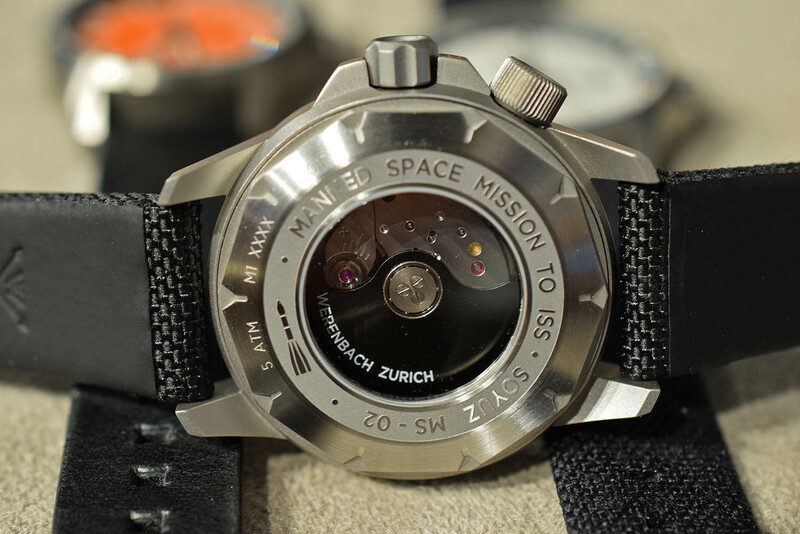 Beyond my cheap bit trickery however, there is an actual viable link to a watch here, as Werenbach creates watches with parts from salvaged Soyuz MS-02 rockets. 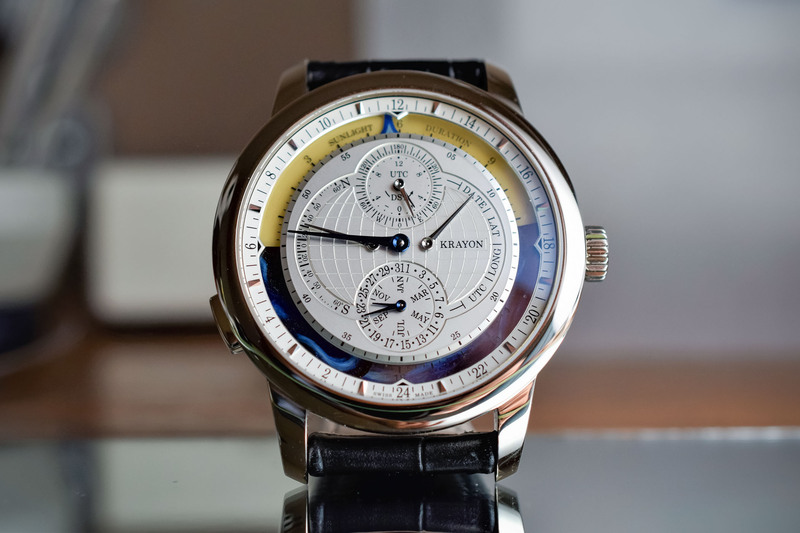 The first collection, the Atelier series was introduced in 2013 and now the Earth collection is here, which made a big impact during their Kickstarter campaign, becoming the most successful campaign from Switzerland yet. The Soyuz rockets are the quintessential vessels from the Russian space program, with the earliest of these launching the Sputnik satellite for instance. This rocket is recovered in Kazakhstan, after it has returned to earth. Most of the fuselage and booster rockets are not reusable for another launch. 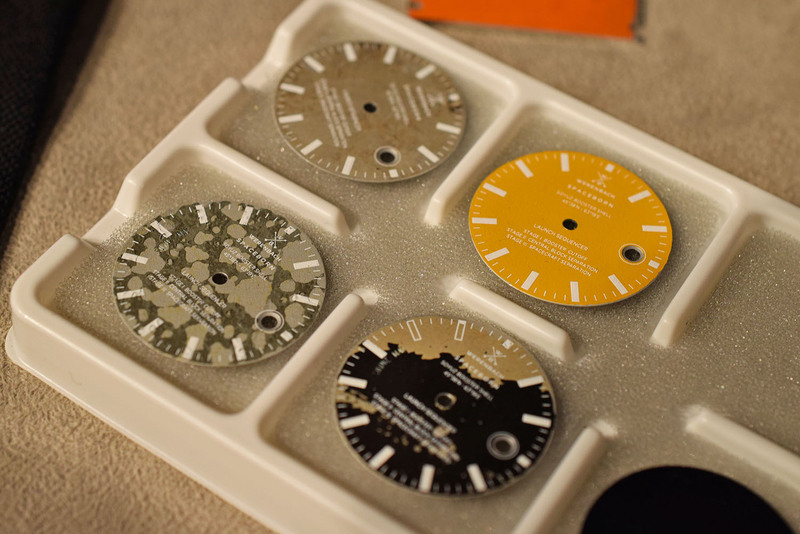 The process of trying to gather parts to make these watches is a long and tedious one. 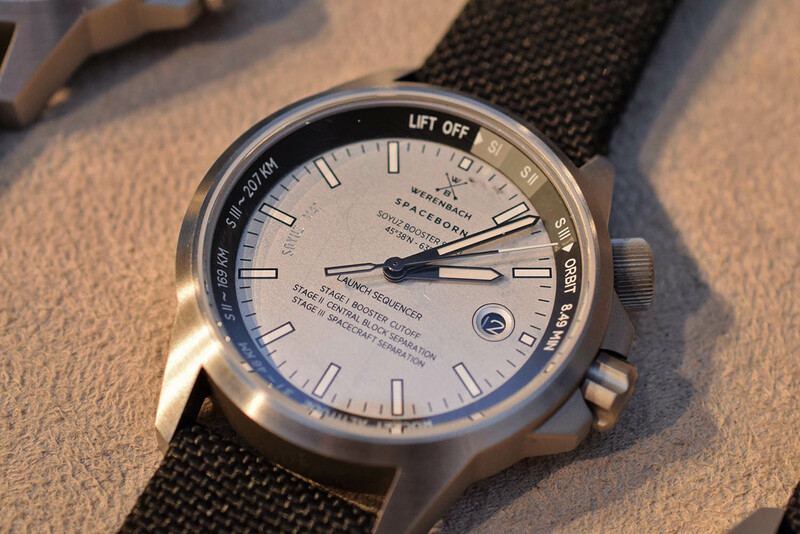 The Werenbach team, headed by founder Patrick Hohmann, have taken a few years from conception to finally getting access to enough material and eventually producing the watches. It all comes down to knowing the right people, and vast amounts of patience! 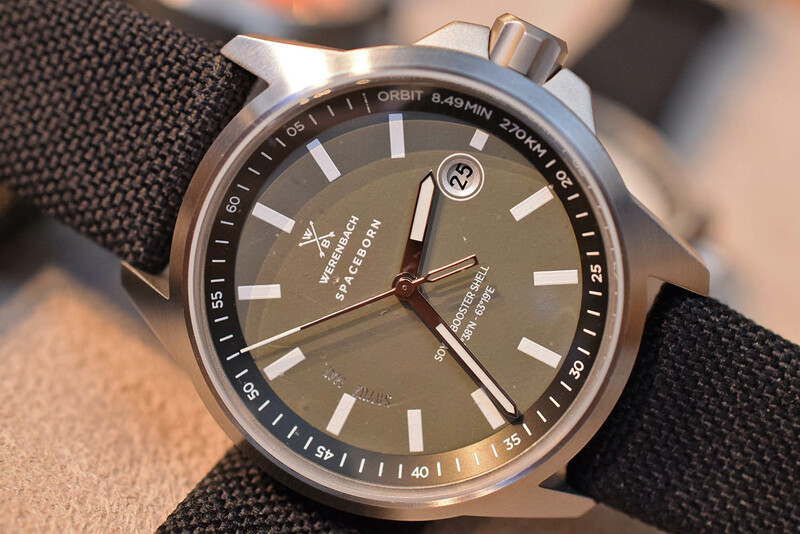 The Werenbach Earth collection is comprised of 5 different models, each with a 40mm wide stainless steel case. 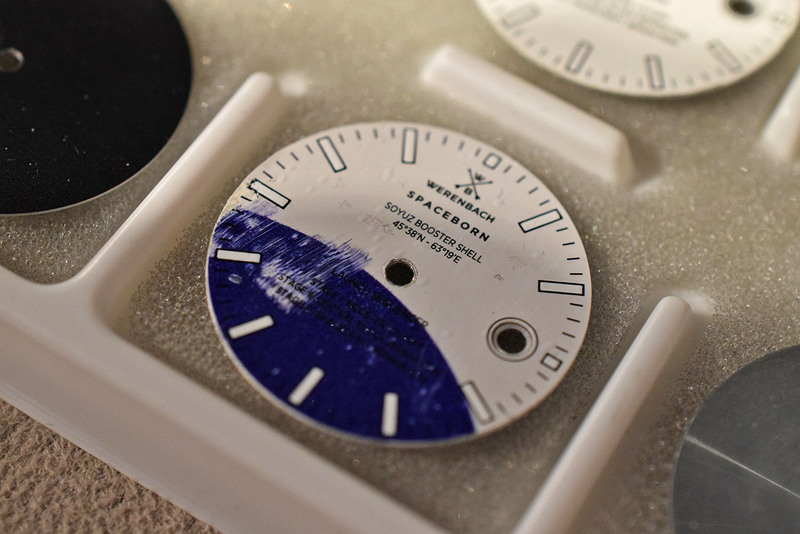 The cool part is that each of the 5 models has a dial made from a part of the rocket, from the outer shell of the booster rocket or the fairing of the spacecraft. The dials vary in color (black, silver/steel, grey, white or orange) and each one has signs of wear from the mission to the ISS. 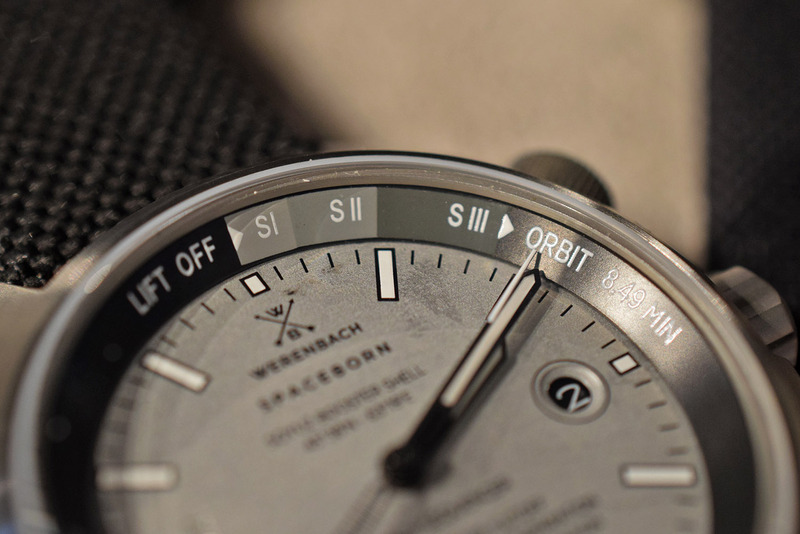 You’ll see scratches, marks or little dents in the paint for instance, making each and every Werenbach Earth truly unique! 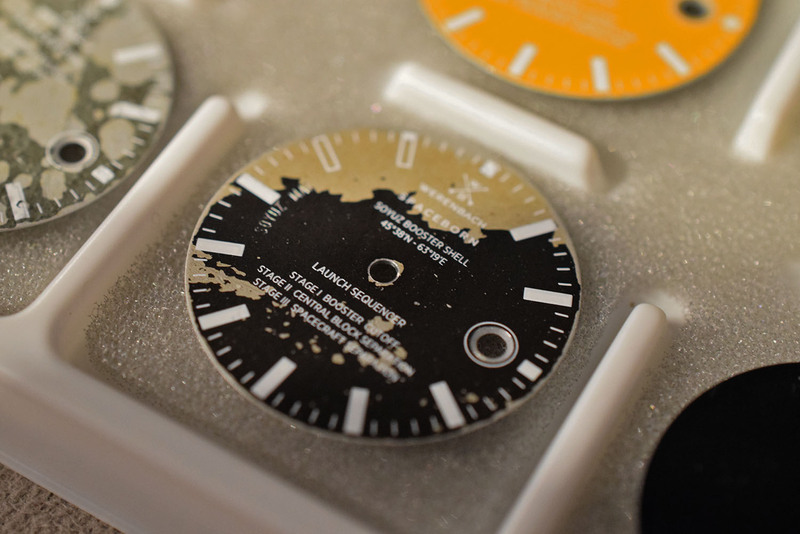 The only dial that has received additional treatment is the black version, which is anodized. The rest is left untouched, but I have to say that the white and orange are the way to go. Supply of parts with these colors are limited as these come from the nose cone (white) and the exterior cladding of the rocket engine (orange). 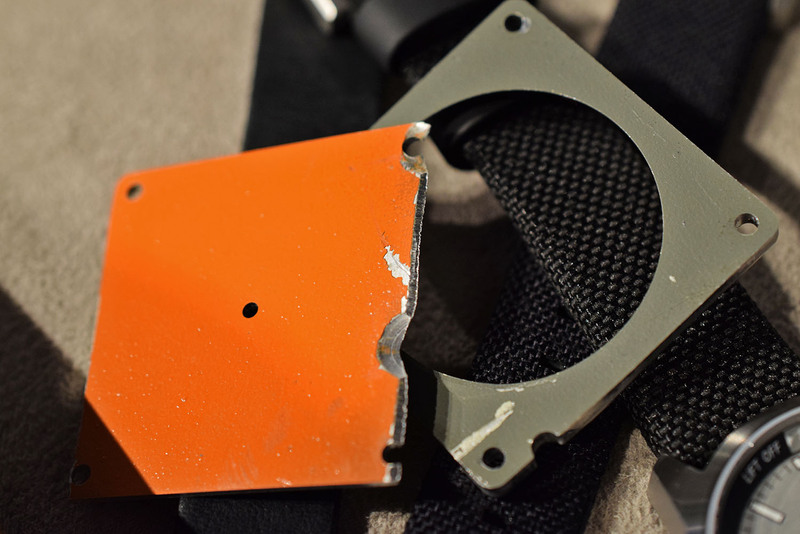 Various extra pledges during the campaign could get you additional parts, like a keyring of rocket material or the Werenbach book covering the project from idea to realization, including the hunt for the material. 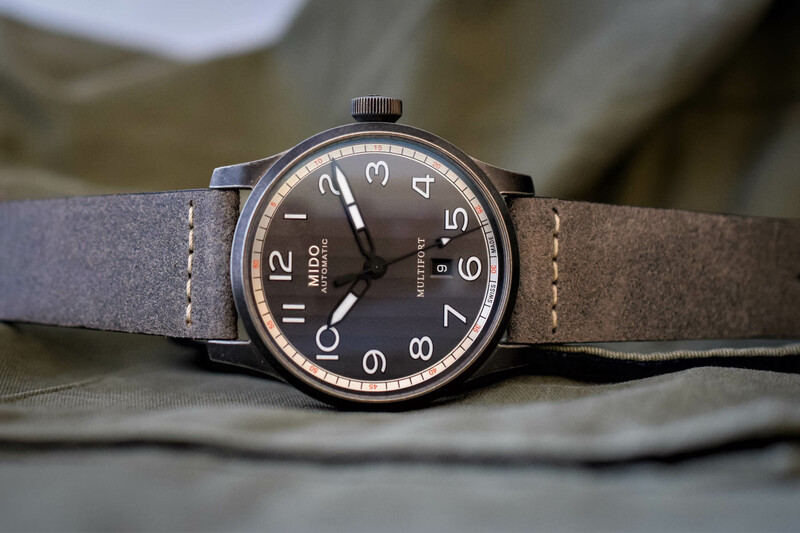 Stretch goals included bonus straps, the cutout part that provided your dial and, as an added bonus, an upgrade from a Seiko movement to a Swiss made ETA 2824 clone. 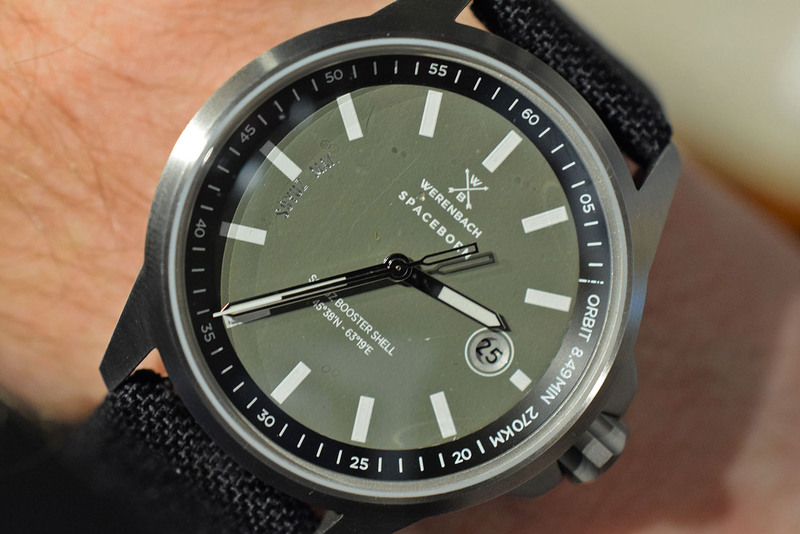 The steel case is pretty basic with a very utilitarian look, but that is a good thing. It doesn’t take away attention from the special dials. 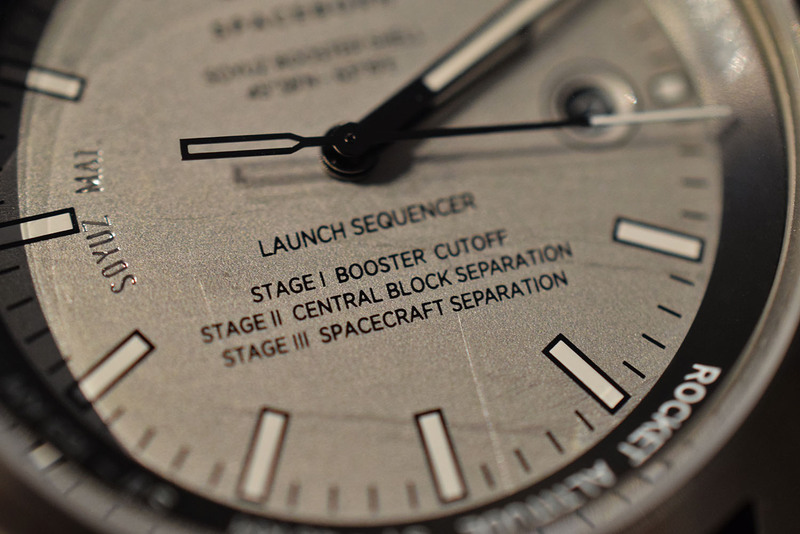 Three of the available dials also contain launch sequence markings, which allows you to time the launch sequence so you get an idea of the stages after 3-2-1-blast-off! 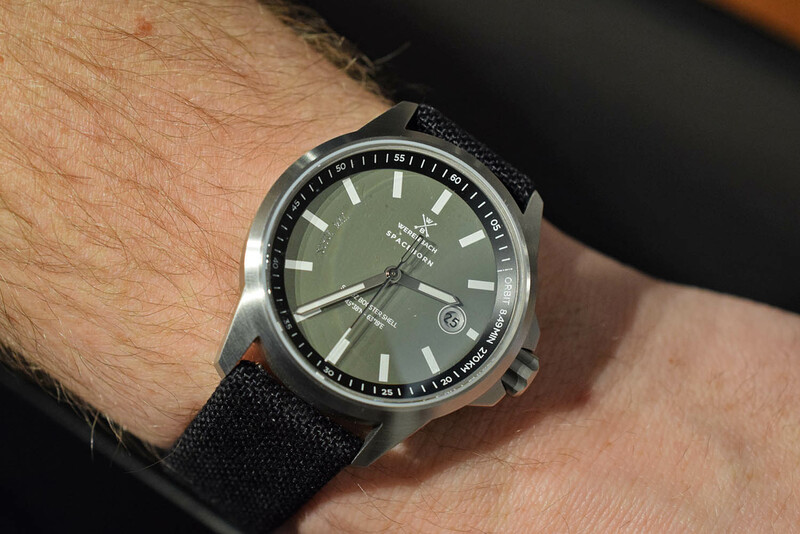 These are rotatable, using the secondary crown at 2 o’clock, much like an inner rotating diving bezel, but ONLY on the versions with a launch sequence scale. 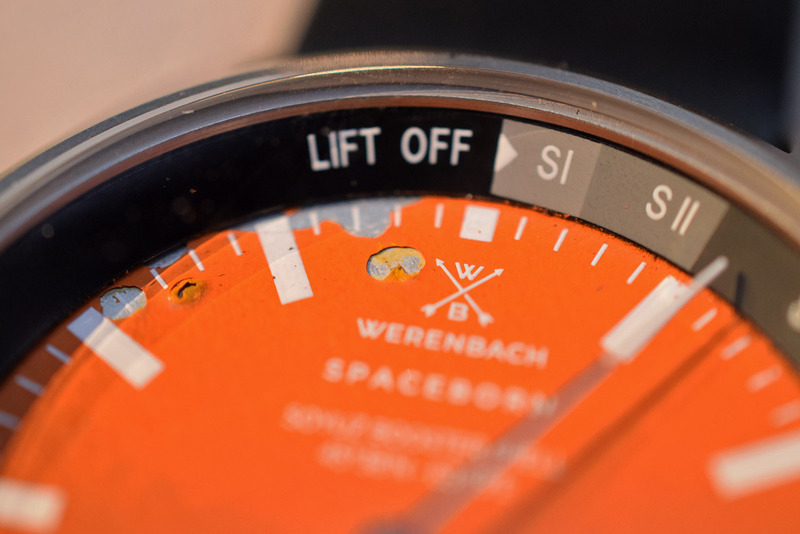 The dial is complemented by markings indicating what part of the rocket the dial came from. If you have one with a launch sequence scale on the dial (on the edge of it) you also get markings with the various stages of the launch sequence, helping you understand the process a bit better. 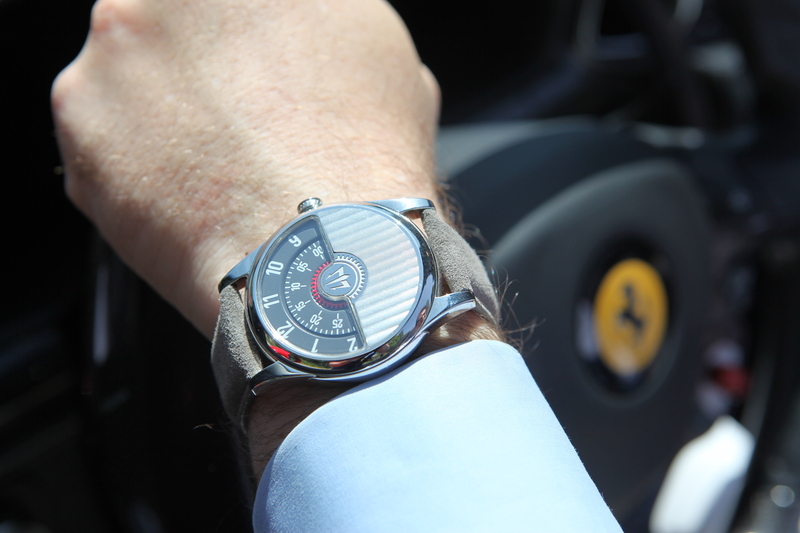 Each Werenbach Earth displays the hours, minutes and seconds on a central axis with a date window at 3 o’clock. Inside you can find a Swiss STP1-11 movement, basically an ETA 2824 clone, made by Swiss Technology Production. 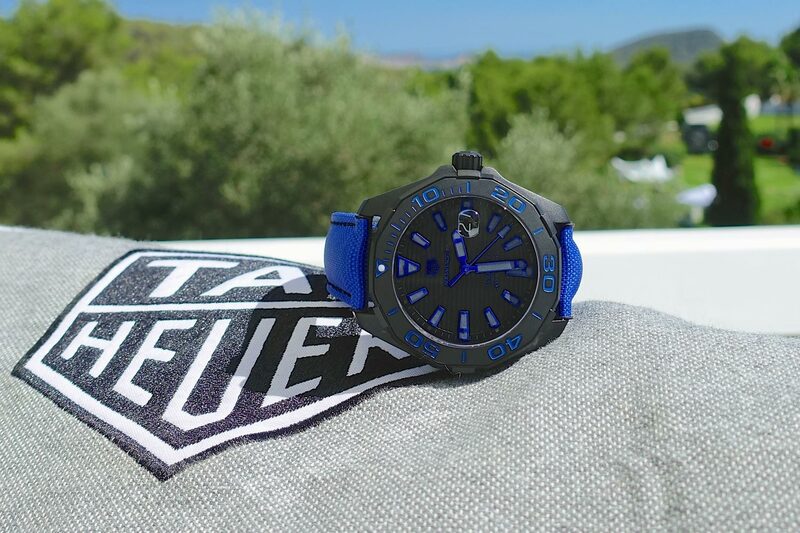 Specs are obviously identical – even though the power reserve is longer at 44 hours. 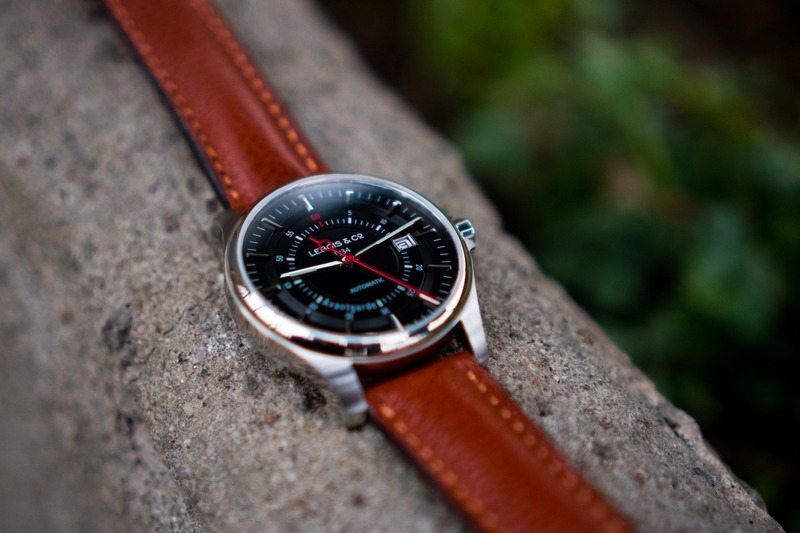 Straps options include calfskin leather or textile with a rubberized lining with graphics in white (go for the latter, it makes the watch extra “spacy”!). The campaign is no longer running, but discount orders can still be made through their website which give a 25% discount until October. More information on Werenbach.ch. Yes, and as beautiful as the rocket after crashing on land.